also @eddi, would you be able to explain the Position A and B on the obverse of Belgian 20 Francs? No potion but blue tape. Usually the m. scaleni on the neck tense up and impinge on the nerve or further down the path another muscle group tenses up. Blue MediTape on the cramped up area tends to works best in such cases. Maybe @kimchi's SCENAR device is also worth looking at. so you have your red potion already... together with blue tape that should create a purple combo therapy. It doesn't get better than that. Position A = With the obverse (head) side facing downwards, the lettering is upright. Position B = With the obverse (head) side facing upwards, the lettering is upright. I have just discovered an unexpected benefit of having a painful shoulder, and being awake at 0430...’The early bird catches the worm’. My date run of 20 French Francs Roosters has just been completed😃😃😃😃👍 (1899-1914)....All going well! Thats good Rosters tick.😉 A was thinking of getting one 1900 or 1899 . A found one for around 250 pound . Did I pay over £250...yes!😂😂😂..I paid £280.03...to be precise! WHY?..If you want to buy an 1899 or 1900, there is a premium to be paid, they are the two rarest with mintages of c 1.5m and 606k respectively...not particularly scarce, but less easy to obtain than say the 1907, with a Mintage of 17.7 m...see Chards website for this info. The 1900 ones on Ebay (having looked just now) are from main dealers and are not a high grade, BUT, they are charging a numismatic premium which is why I would give them a miss. The one I have just bought today (see prev) is a little more expensive but a higher grade of coin...find out next week! 1. I have collected a full date run in 1 Year and 1 month,..started 31-1-18..so has not taken too long. Most were bought from Chards, then Bullion by Post and only two from eBay. A big thank you to @ChardsCoinandBullionDealer for picking out (and sending me photographs) of my first batch, and also to a contact at BBP for doing the same. I have really enjoyed collecting these and look forward to starting to collect a new coin very shortly @augur..any suggestion?...they have to be interesting, obtainable and not too expensive...no rush on this one. @SilverTanner very nice early coin. 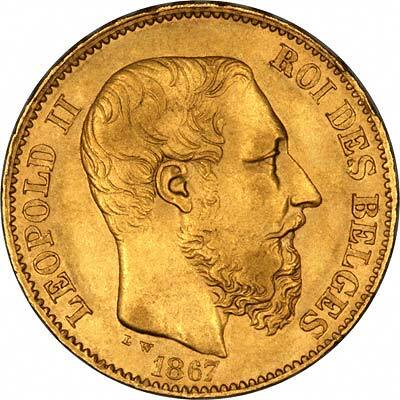 I am trying not to like it too much, as I fear collecting Napoleon 1 coins would prove to be both difficult and expensive. I agree, which is why I only have a few😄 I think a full set of Napoleon 20 and 40 Francs in decent grades would set you back more than £200K! Common dates in bullion grade would be much much less and bulk lots regularly appear at a range of European auctions. 😮 whoa! The big guns are coming out now..that’s a real Bobby Dazzler! I have no idea how many of those were minted but I can’t imagine many.. According to Gadoury the mintage for ANXI is 226,115 which is one of the highest mintages for the 40 francs and therefore the most common (which is why I have that date😄). My lowest mintage 20 Francs is the one below with a mintage of only 522! @KevinFlynn Those weights would suggest that all of your coins are uncirculated...or at least in very good condition. Do you have a grubby, worn 20 francs coin to compare against? In my early collecting days I weighed all of the USA Gold Buffalos that I bought, mainly as reassurance that I hadn’t bought a fake. These are modern coins so weight loss through circulation was not an issue. The consistency of weight was remarkable, 31.21g to 31.23 g...so nothing to worry about there. On the more expensive purchases I make, I tend to stick to main dealers, my aversion to risk is more persuasive than my desire for a bargain. A philosophy in life which not all share, but tends to serve me well.